KARACHI: Pakistan’s major oil marketing companies are set to complete upgrade of their pipeline network from the port city of Karachi to upcountry at a cost of $480 million by mid-2019 to cater for the growing petrol demand at lower transportation cost and in lesser time. The infrastructure upgrade will enable public and private companies to supply highly demanded motor gasoline (petrol) through a 2,000-kilometre-long pipeline from Karachi Port to Machhike near Lahore, which at present only transports diesel. “Around 80% of petrol is transported from Karachi to Lahore through trucks while remaining demand is met via local refineries; around 80% of demand of the nation for fuel for motorbikes and cars is met through imports that arrive at Karachi ports,” said Shell Pakistan ER Manager Habib Haider while briefing media at an oil installation at Keamari. Company officials emphasised that the pipeline would reduce transportation time from days to just a few hours. “It takes around four to five days to transport oil via roads,” Transport Manager Remko Oldenburger said during the briefing. “The pipeline will enable importers to receive petrol in four to five hours,” Supply Manager Muhammad Zubair added. Pak-Arab Refinery Limited (Parco), which is a major stakeholder in the pipeline, put on its website the cost of white oil pipeline at $480 million. The 2,000km-long pipeline can be divided into two major portions – from Karachi Port to Mahmoodkot and from Mahmoodkot to Machhike near Lahore. 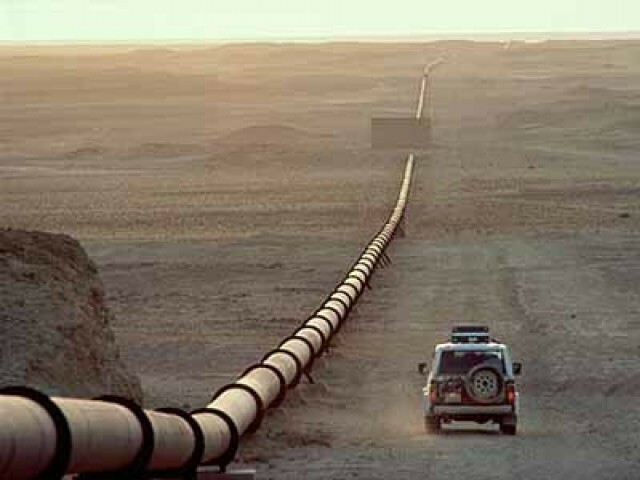 Parco is single handedly upgrading the infrastructure from Mahmoodkot to Machhike whereas Parco, Shell, Pakistan State Oil (PSO) and Total Parco Marketing Limited are jointly upgrading the 786km portion of the pipeline between Karachi and Mahmoodkot. They have formed a joint venture called Pak-Arab Pipeline Company Limited (Papco), which is a subsidiary of Parco with 51% equity stake whereas Shell, PSO and Total Parco hold 26%, 12% and 11% equity respectively. The pipeline system has a slated capacity of 8 million tons per annum, which is expandable to 12 million tons after including excess storage facilities. The upgrade is aimed at adding 150,000 tons of motor gasoline to the storage capacity across the country. In addition to this, another pipeline project is under way to connect Port Qasim with Karachi Port and then to the upcountry. Also, according to presentations, a separate oil transportation pipeline is being laid from under-developed Gwadar Port in Balochistan to Kashgar, China as part of the China-Pakistan Economic Corridor (CPEC). Three oil marketing companies – PSO, Shell and Total Parco – are major importers of refined petroleum products in the country. Hascol Petroleum also imports oil via terminals. They import the products for themselves and other oil marketing companies. The Oil and Gas Regulatory Authority (Ogra) has so far granted licences to 22 oil marketing companies.